Do you know the difference between all the different types of deli meats that are out there? If so, opening a delicatessen might be in your future. You can utilize your in-depth knowledge of deli meats to set people up with sandwiches and provide them with the cold cuts they’re searching for. But before you open a deli store in your city, there are a number of things that you’re going to need. They’ll help you get your delicatessen off the ground when you’re first starting your new business. Here are 7 things you’ll definitely need when opening a delicatessen. The first thing you’re going to need to look for when you’re thinking about opening a delicatessen is a physical location. You’ll need somewhere to set up shop so you can start welcoming your customers in. Ideally, your delicatessen should be positioned in a place that’s easy for people to get to. If your city has a downtown area that generates a lot of foot traffic, you should start your search there and see if there are commercial properties that fit your budget. You should also keep an eye out for properties that are located near places where large numbers of people work. If you can find a location that’s situated near, say, an office building, you shouldn’t have any trouble attracting people to your delicatessen. Once you find the perfect place to go about opening a delicatessen, the next step will be to build an attractive storefront that will catch people’s eyes. You don’t necessarily want to overcrowd your delicatessen’s storefront with too much information. But you do want to make it something that’s just about impossible to miss. This will bring plenty of people in by letting them know what to expect out of your deli. Attracting people to your delicatessen is only half the battle. Once you’ve gotten them through the front door, you have to fight to keep their business by making a great first impression on them. One way to do this is by equipping your deli with a wide range of high-quality deli meats. Start off with all of the staples before expanding your menu in the months to come and offering even more selections. You also want to make sure you have all kinds of different cheeses to provide to customers. From basic American cheese to cheddar cheese to Swiss cheese, it’s important to have lots of cheeses for people to pick from. If your plan is to serve up sandwiches on a daily basis, you’re obviously going to need more than just deli meats and cheeses. You’ll also need bread to make the sandwiches on. There are some delicatessens that will actually make their bread right on site. But there are also many others that will work with local bakeries to get access to fresh-baked bread every day without having to worry about making it themselves. Regardless of which approach you decide to take, you should invest in the best bread you can find and consider offering different bread options. 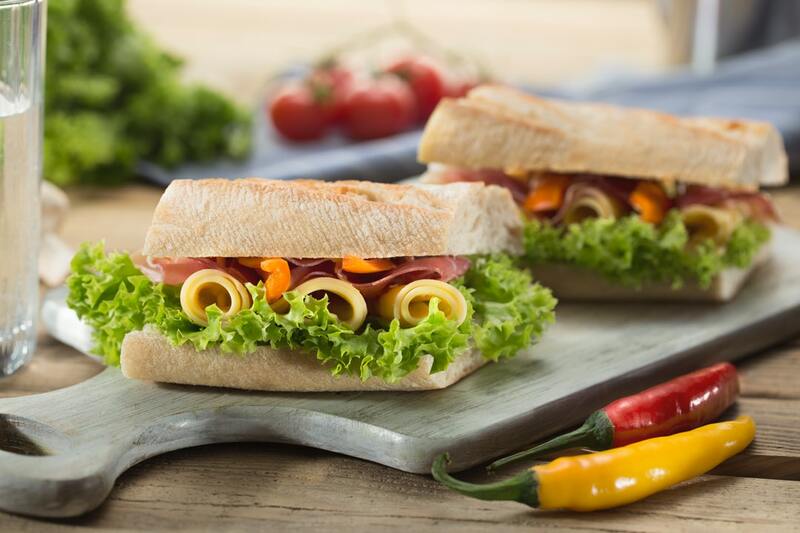 Your customers will appreciate you taking the time to provide them with sandwiches on delicious bread. In order to prepare sandwiches for your customers or provide them with cold cuts to take home, you’re going to need to be able to slice up your deli meats. To do this, you’ll likely have to buy at least a few slicers. Most delis buy one or two slicers for their meats and a separate one for their cheeses, though you’re free to buy as many slicers as you want based on the size of your deli. The key is buying state-of-the-art slicers that will cut meats and cheeses as thick or as thin as you want them. You can find some excellent slicer options on this website and get a taste for what’s available. Outside of slicers, you’ll also need to outfit your delicatessen with refrigerators designed to store and show off your deli meats and cheeses. You want something that will show your customers what you have to offer to them when they stop in for a sandwich or cold cuts. When your delicatessen first opens, you’ll probably be the one manning the slicers and handing out sandwiches and cold cuts to your customers. But once things get up and going, you’re going to start to get busy with other aspects of your business. It’s why it’s important for you to bring some reliable employees on board who can help serve your customers. Look for people who have prior experience working at a deli before hiring them. How are you going to market your deli to your community? Maybe you’re going to place ads in local newspapers or put up billboards to promote your business. Maybe you’re going to use digital marketing to your advantage by setting up a website and creating an email list. Or maybe you’re going to use a combination of both those approaches to increase your chances of turning your deli into a huge success. Whatever the case, it’s a great idea to establish a detailed marketing plan before opening a delicatessen. It’ll put you in the best possible position to grow quickly. Before opening a delicatessen, you should make sure you have everything on this list. It’ll let people know they can trust you for your sandwiches and your cold cuts. You should also think about ways to improve your business as you move forward. From expanding your menu to baking your own bread, there are lots of things you can do to set yourself apart from the competition. Do you want to find out other ways to succeed as a deli owner? Read our blog for tips on setting solid financial goals for your business.